Welcome the Widowmaker to your collection of keys. 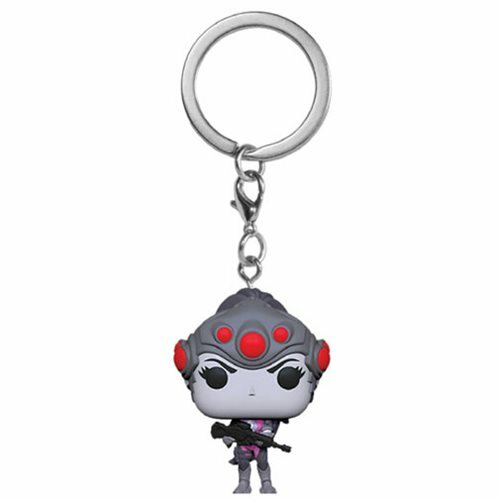 Complete with the Widow's Kiss, she's ready to guard your keys from sticky fingers as this terrific Overwatch Widowmaker Pocket Pop! Key Chain. She measures about 1 1/2-inches tall and comes packaged in a window display box. Ages 3 and up.